Detroit gets a seriously bad rep out there. 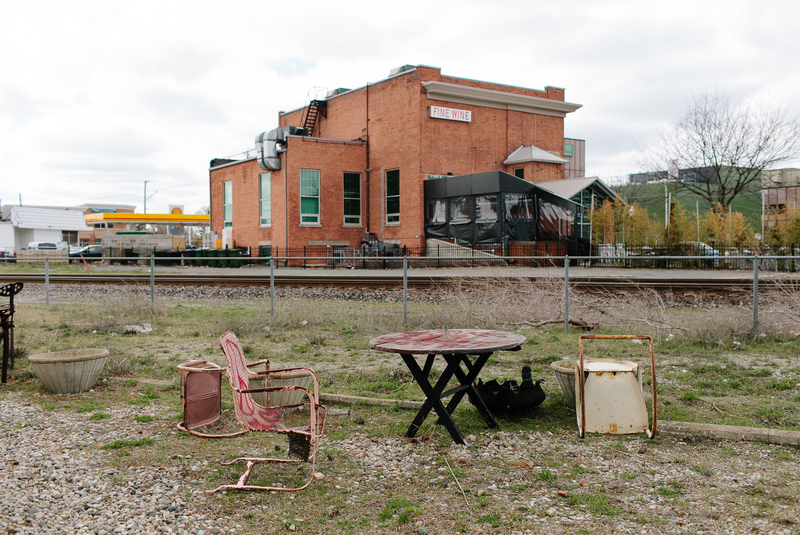 Most people think it is run down, empty, and sad, but the truth is far from it. This town is full of energized business people who are innovating and diversifying their community. There is as much culture as you can pack in 100 mile radius with almost every ethnicity being represented. Though it is spread out much differently that cities like Chicago and New York there is a lot to experience here. 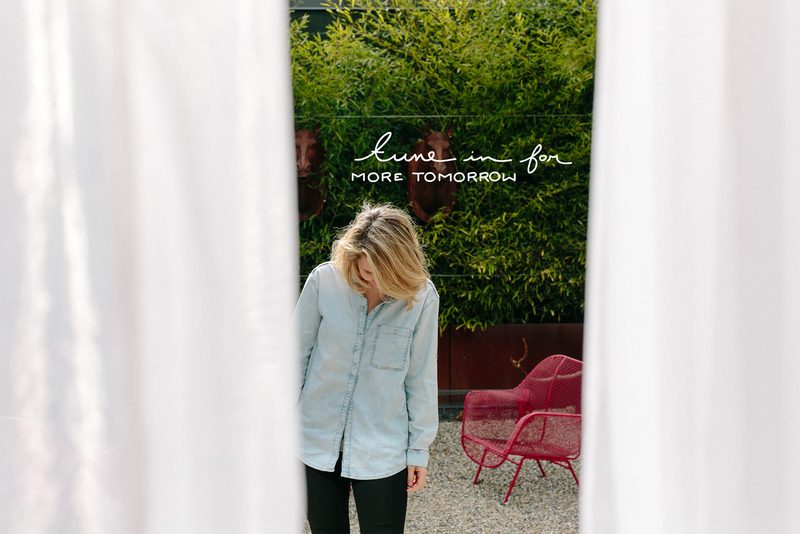 I love finding something new every time we visit so I am excited to share inside the people who have been apart of this super special Simple Evening. When putting together these events I would love to tell you they are super “Simple” but anyone who has been apart of one will tell you it is quite opposite…so for the next few we have begun to show the larger process of these events with you all. Not only will this allow you all to further experience the event, but also see the hard work that goes into making them happen successfully and beautifully. Also I want to show you all it is about the community that comes together around the event that makes it that much more special. They are all incredibly talented and creative people who are deeply passionate about what they do and my hope is that the more content we show of these events that will be even more apparent. So today I wanted to share a few images from the day of prep we did. 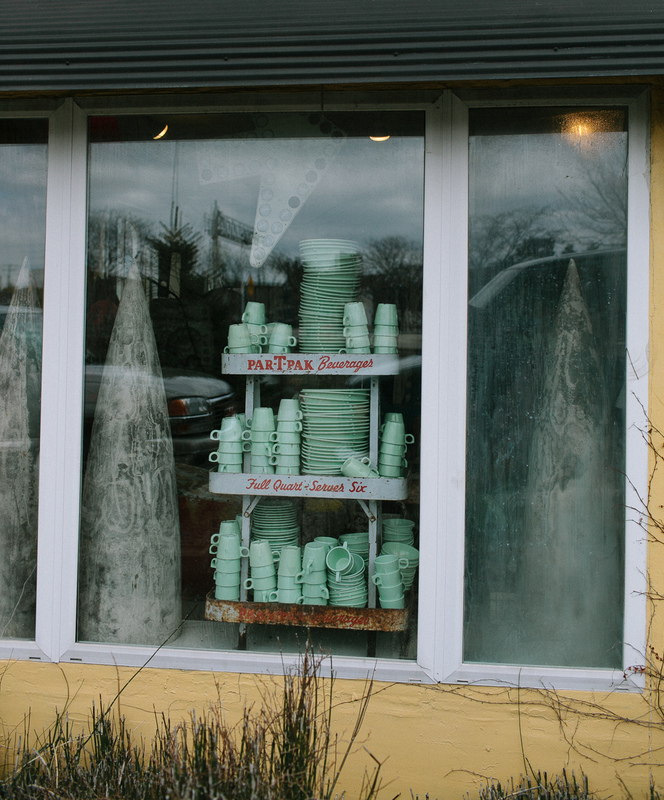 We ran a few errands to the local markets to pick up utensils and a few extra plates for serving. 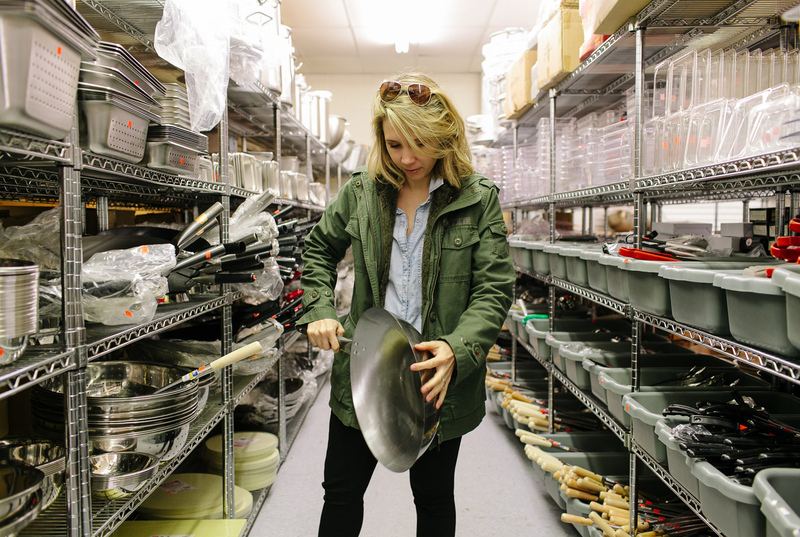 We went to one of the coolest Asian Cookware stores that Chet and Cammie couldn’t wait to share with us. 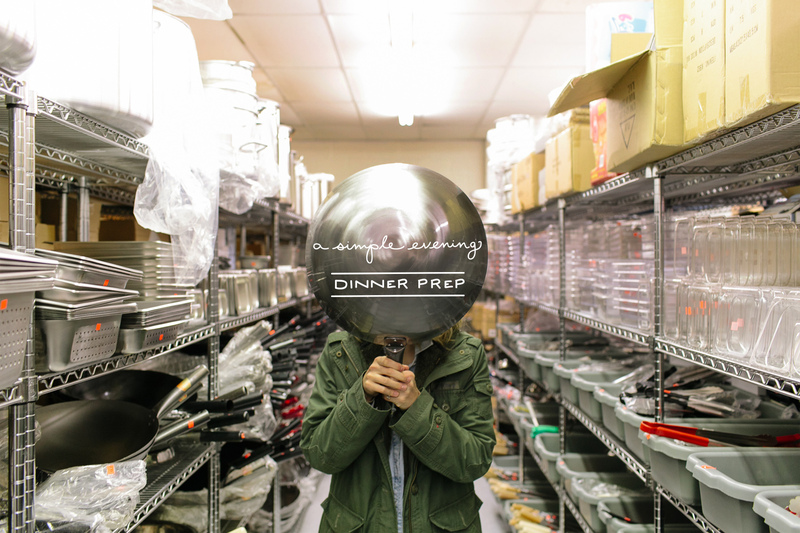 We ended up buying that wok and a super awesome round cutting board that Andy (remember him from the Kinfolk Shoot?) swore we couldn’t live without. 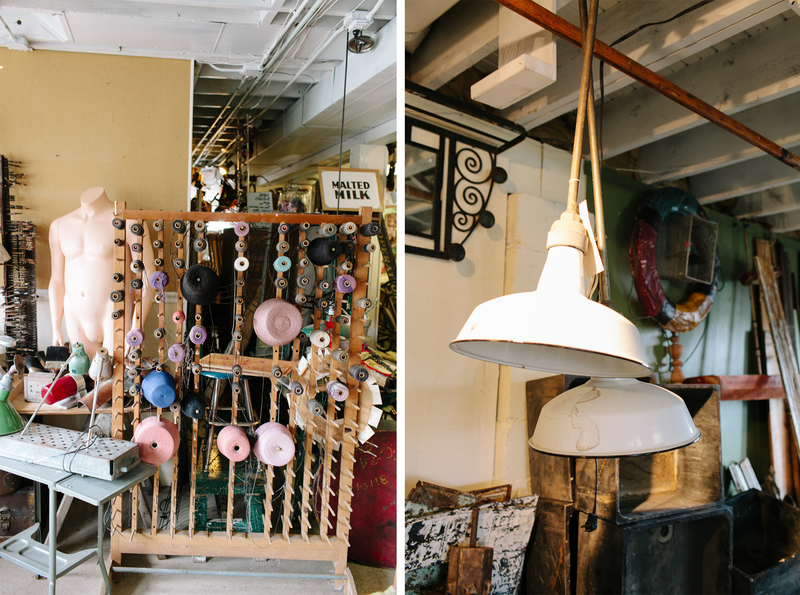 After the markets we went stopped at a few local antique stores in Royal Oak to wander for extras, but I think honestly we all just wanted to get lost a little and find a couple new treasures. Many of the pieces of the centerpiece that you will see on the table this week were sourced through antique stores. Cammie is a super antique hunter and can really dig up amazing things. Thus why our candle sticks look so amazing without breaking the bank. I promise you will get more this week!!! We have them all lined up. Hope you all had a lovely weekend. Are you you all feeling refreshed and inspired? I do! Amazing what a slow and quiet weekend can do for the soul. I am so, so excited for this! I never did make it to Detroit on my cross-country road trip but it’s on my someday list. Seems like an incredible place. Thanks so much for sharing the action behind the scenes. I’m not sure about others, but I find the whole process behind creative projects/ get togethers really inspiring. I love a good Asian restaurant supply store 😉 there are a TON in Chinatown in manhattan, and we can’t help ourselves but stop in each time we pass by one. you never know, you might come across a $25 high quality whetstone or that giant fine mesh strainer you’ve been looking for… can’t wait to see the rest of the simple evening! 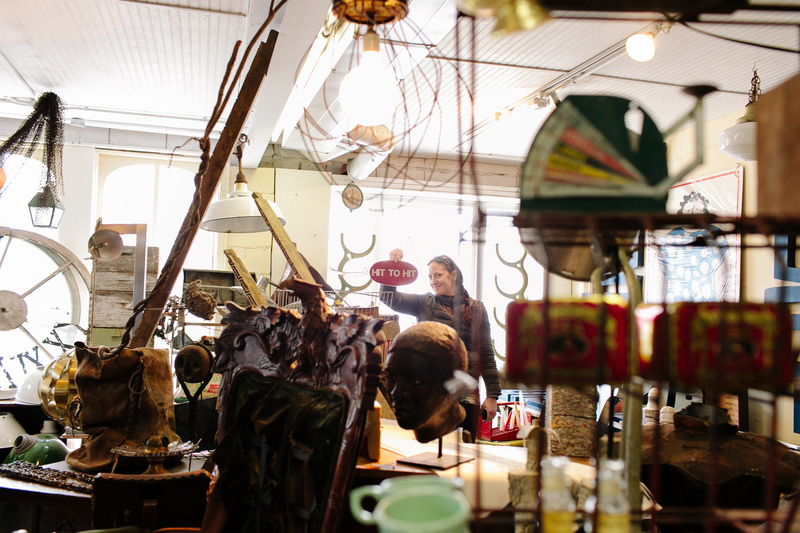 I live near Royal Oak and I’m curious which antique stores you liked the best. There are so many great things happening in Detroit right now! The new shops and seasonal restaurants that are popping up are inspiring. I’d love to visit that Asian cookware store, it sounds incredible. Looking forward to seeing the dinner unfold. Megan, I’m so glad you are featuring Detroit and all the details from your Simple Evening there. We live in Royal Oak now and absolutely love Detroit, so close and always fun things happening downtown. I have a hard time finding other Michigan blogs that I really enjoy and yours really makes me LOVE this state more and more. Even though I’m not a “creative” by job description, my life away from my cubicle is inspired by you and the amazing things that you guys do. Thank you for sharing and I can’t wait to see what’s next! When I make it to Detroit, I will check this out! 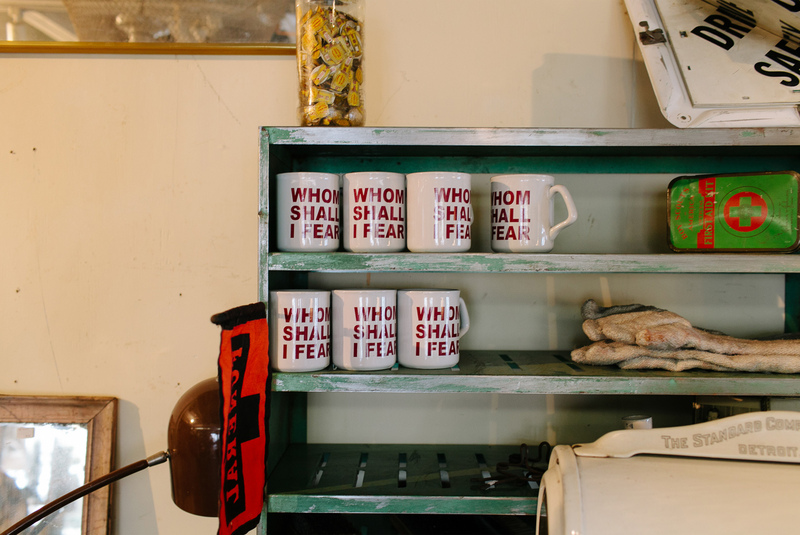 Wonder if this is the only place I can purchase a “whom shall I fear” mug?! it’s the title of my current favorite song by Chris Tomlin. I’m definitely showing this post to my Detroiter husband. 🙂 We love McClure’s! !